OUR MISSION IS SIMPLE. WE WANT TO PROVIDE ALL OF OUR CLIENTS/CUSTOMERS QUALITY REPORTS IN A TIMELY MANNER AND IN COMPLIANCE TO THE UNIFORM STANDARDS OF PROFESSIONAL APPRAISAL PRACTICE (USPAP). Appraising residential property for 14 years. Providing date of death evaluations, market valuations, divorce & estate appraisals. We cover the counties of Atascosa, Bexar, Bandera, Guadalupe, Hays, Comal, Caldwell, Wilson, Williamson, Medina, Atascosa and other surrounding counties in Texas. Average turnaround is 2 to 5 days from time of appointment and depending on location, size and complexity of the property. Rush order appraisals are also available at an additional fee. If you have any questions or you would like to order an appraisal, please call 210-237-8930 or email us at Abquestappraisal@aol.com. Our fax number is 1-866-670-6909 or use our online order form right here on our website. 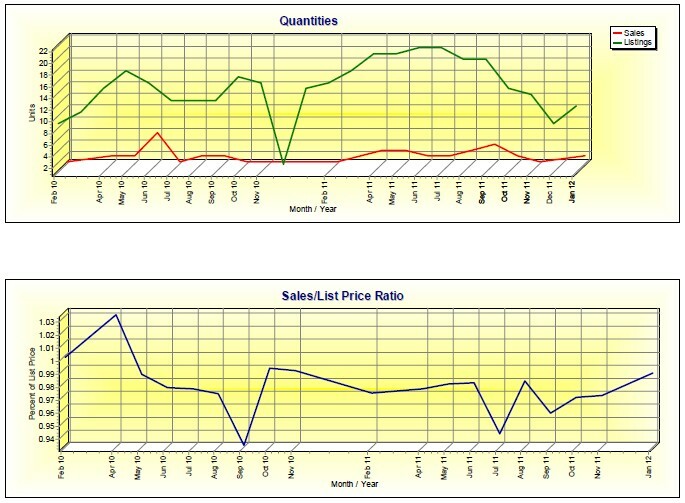 We can help you to determine an optimal list price. THANK YOU TO THE MEN AND WOMEN OF THE ARMED FORCES. TO SHOW OUR APPRECIATION FOR YOUR SERVICE TO OUR COUNTRY, WE ARE GIVING A $25.00 MILITARY DISCOUNT ON FULL APPRAISALS. GOD BLESS YOU AND GOD BLESS THIS COUNTRY. We are also offering a $25.00 discount of full appraisals to Texas Public Radio members. 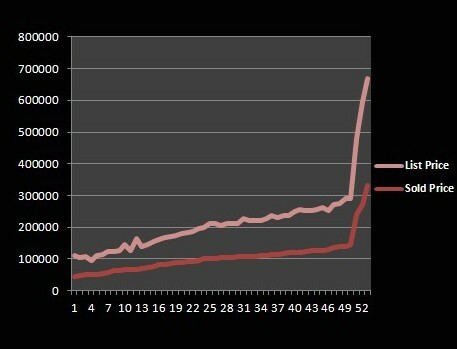 The graph below was utilized to show the relationship between Sale Price & List Price for a 1 year period 5/25/2010 - 5/25/2011. A total of 52 sales. Data Source: SABOR. Available For Small Group Speaking Engagements. Please call for pricing. **C.O.D. PAYMENTS ONLY, UNLESS OTHER ARRANGEMENTS ARE MADE. WE ACCEPT CHECKS, CASH, MC AND VISA. Standards of Professional Appraisal Practice). WHY SHOULD YOU CHOOSE US AS YOUR APPRAISAL SERVICE? I am not just an Appraiser, I am an Appraisal Practitioner. The field of real estate appraisals is an ever changing industry, so I am constantly studying, utilizing technology, practicing techniques and skills to stay on top of the changes in the industry in order to provide the public with confidence, which is what USPAP (Uniform Standards of Appraisal Practice) has set forth. Aside from 14 years experience in the appraisal industry, I combine old fashioned service with modern technology. Friendly service along with phone, email and/or text communications on report status. FRIENDLY SERVICE ALL THE TIME. Thank you for viewing and God Bless. FOR SALE BY OWNER?? GIVE ABQUEST APPRAISAL SERVICE A CALL TO HELP YOU SET YOUR LISTING PRICE!